For today’s Dear Mark, I answer three questions from readers. First, I give some advice to a reader with a knack for doing a week or two strict Primal and then falling promptly off the wagon into a pile of donuts. How can she make it stick – or should she? Next, I extoll the merits of freezing your freshly homegrown produce rather than rely on under-ripe fruits and vegetables from half a world away. Finally, I discuss what to do when you feel your performance in the gym diminishing. I have been an avid reader of your blog for over a year now. 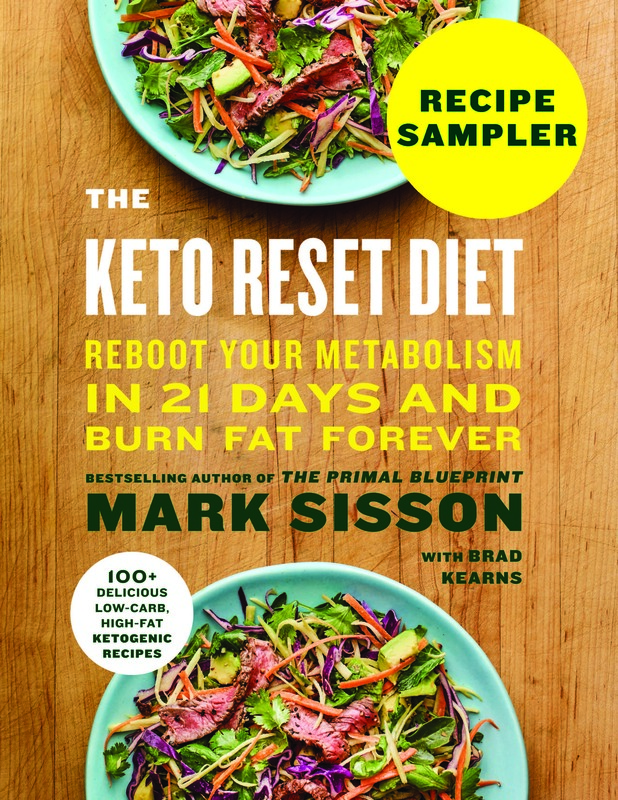 I have read the PB and other books from members of the paleo/primal community. I have seen first hand how much better I feel after even just a short period of time eliminating grains, sugars, and processed foods from my diet. However, it seems as if I can get through a week or two of primal eating and then my conscious, intellectual mind shuts down and I find myself face down in a pile of donuts. What gives? Why can’t I seem to make this stick? Any help or advice you can provide is greatly appreciated. I might get some flack for my response to this question. You may find what I say to be sacrilege, or heresy. Just remember that it’s neither of those things, because this isn’t a religion. There is no dogma, just a series of choices. With that said, let’s get on with it. If this keeps happening, if you can’t seem to suppress the urges to eat some junk, you should consider adopting the 80/20 rule. You’re already following it, let’s face it. You just don’t know it. For the most part, you eating the donuts every couple weeks is an inevitability. It’s going to happen. It’s happened every time so far. Sitting down and telling yourself “Let’s try the 80/20 rule, huh?” will change how you emotionally respond to the binge. You’ll accept the situation, not struggle in vain against it. And although there are physiological consequences to binging on junk food, I’d wager that most of the damage comes from the fight, the refusal to accept an inevitable situation, and the guilt you’re heaping on yourself for losing that fight. Acceptance: You’re no longer fighting something you can’t hope to win. I can’t think of anything harder or more stressful than struggling against an immovable force. Sure, you eating that donut may not be inevitable on a cosmic scale, but it’s happened every single time before like clockwork. Freedom from guilt: Guilt about eating junk food can actually impair your immune system. By making occasional junk food dalliances part of your regular schedule rather than a betrayal of your body, you remove the guilt. 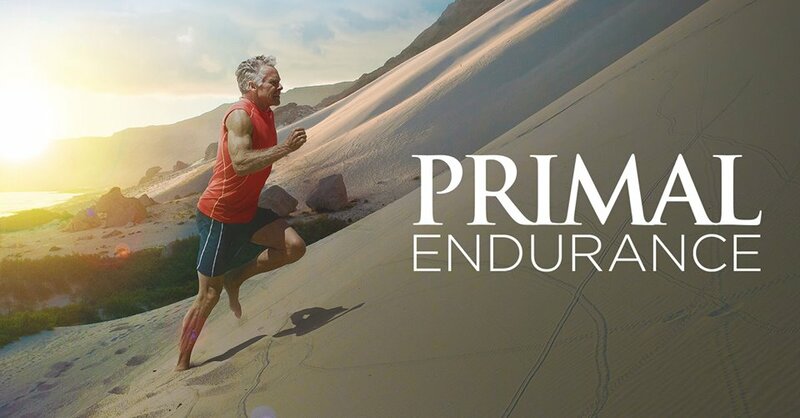 Most of the benefits of going Primal: You’re eating Primal for the better part of two weeks, having a binge meal or binge day, and then getting back on the horse for another two weeks before it happens again. That meal, that day isn’t undoing all the good you’ve done. This is the basis for the 80/20 rule. Consider the post I wrote last year about how reframing our perception of stress can alter the physiological effects it has on us. If by telling ourselves that the stress response is a means of preparing our body to face the stressor we render the stress innocuous and even helpful, accepting and occasionally indulging the urge for junk food will soften the blow eating it deals to our health. If you’re going to eat it, eat it. There’s no sense in beating yourself up over it. I mean, you’re already eating the food, which may or may not cause problems, but then you’re feeling bad about it and wallowing in guilt, which absolutely will cause problems. Eventually, acceptance that you’re going to mess up once in awhile and the realization that it’s not the end of the world may even take care of the situation and stop your fixation on junk food altogether. Let me know how that works out. From reading MDA and PB I understand you are originally from Maine. That being the case I think you may understand my quandary. I live in Canada and once the fall hits growing season is over! Access to local fresh produce is non-existent. I have an abundant garden and would like to freeze much of the produce. What is your feeling on frozen organic produce vs produce which as made the long trips from southern climates? Is there much difference? Thank you for taking the time to read this and thank you for your books and blog, they have changed my life! Frozen produce usually beats trucked-in produce. Produce from afar is often picked in an unripe state to increase durability during travel. A ripe, taut tomato whose fragile skin barely contains the juices within will taste better than almost anything, but it won’t make a cross-country trip in the bed of a truck. As soon as a piece of produce is picked, nutrients begin to degrade. Produce frozen at the peak of ripeness lasts for a year or more with very little nutrient degradation. Minerals and phytochemicals are almost completely preserved. Vitamins are a little more vulnerable, but not enough to make freezing useless. So yes, freeze your produce, but do it the right way. Don’t just pull broccoli from the ground and toss it in the freezer. Even though that’s freezing the vegetable in its freshest state, technically, it will degrade in the freezer without adequate preparation. You have to turn off the enzymes that convert sugars into starches, use up nutrients, and ruin the flavor and texture of the produce. How? By blanching. There are two ways to blanch: with boiling water or with steam. Water blanching involves submerging the vegetables in boiling water for a set amount of time; check this chart of blanching times and instructions for various vegetables. Steam blanching involves steaming the vegetables for a slightly longer time than boiling; refer to the previous chart and multiply the boiling times by 1.5 to get the proper steaming times. After boiling or steaming, the vegetables are placed in ice water to stop the cooking process, dried completely (use paper towels to get every last drop of water; this will prevent icing), placed into freezer bags with excess air sucked out, and frozen. And yeah – it takes some time to do it. It’s not as simple as just freezing everything outright. To make this bearable, I suggest you make a day of it. Have your harvest laid out in front of you, get a cutting board ready, and get a bag for your trimmings. Prepare your freezer bags. Get a few big pots of boiling water going (or steamers, if you’re going that route) so you can do several batches. Assemble kitchen timers. Invite a helper or two (this is the perfect opportunity for kids to learn their way around a kitchen). You’re probably well-stocked with patience, seeing as how you’re a gardener. Freezing may not always preserve everything perfectly. For instance, the blanching process makes sulforaphane, the broccoli compound with anti-cancer effects and the ability to improve detoxification pathways in the body, less bioavailable. Blanching at the slightly cooler 76 degrees ºC instead of the normal 86 degrees ºC can counteract this reduced bioavailability. And folate is a little more susceptible to degradation compared to other nutrients, especially if you upset the natural form of the vegetable with excessive cutting, slicing, or shredding. But for the most part, frozen produce is fresher and healthier and better-tasting than under-ripe produce that’s spent a few days in transit only to sit in a store for another few days. Another benefit to freezing your own produce instead of relying on outside stuff: the satisfaction of consuming your hand-grown, hand-picked bounty all year long. Food tastes better and provides greater satisfaction (if not nutritional satiety) when you grow it yourself. There’s also a school of thought that claims freezing by itself is enough to deactivate enzymes and preserve nutrients. These are the non-blanchers, and I’ll admit that their premise is attractive. However, since frozen food producers invariably blanch their vegetables before freezing, I’d lean toward blanching as an important and perhaps even necessary step for truly delicious, nutritious produce. I am currently training with weights 3-4 times per week…usually 3. On off days I do about 20-30 minutes of interval training. I am also using the 50-100 gram of carb approach. I have lost about 25 lbs in 6-8 weeks from 251 down to 226. The only problem I have had recently is that my weights on my lifts seem to be going down a bit. It may be due to stress as I have a new job to adapt to, but I wonder also if I need to increase carb intake around training. Do you have an opinion on this kind of scenario? I’m inclined to agree with you, Jason. It sounds like you’re dealing with an increase in stress and intense activity that a small increase in carbs could mitigate. Intervals consume a fair bit of glycogen, especially 20-30 minutes of them. And if you’re doing 20-30 minutes of intervals on your off days, they cease to be off days. Those are on days, my friend. There’s nothing wrong with that, if that’s what you want to do and accept the consequences. But you have to support your body with ample fuel. You have to replenish that glycogen you’re burning up; the 30 grams pre- and post-workout from fruit and sweet potato will probably do it. Some would have you up the carbs to 300-400 a day, and I think that’s really overdoing it. We often overestimate just how many carbs we need to fuel our activity. You need some, particularly on a heavy schedule like your own, but a little bit really does go a long way. Fat adaptation, which lowers the use of glycogen during a workout (but doesn’t completely abolish it), helps your glycogen last even longer so you need fewer carbs to get the same effect. The beauty of doing high intensity intervals (or sprinting) is that your muscle’s ability to burn fat and carbohydrate are both enhanced, so there’s no problem consuming both. Thank you so much for answering my question on freezing. It makes all the effort I’m going to put into this so worth while. I’m astounded that you took the time to answer. Best wishes, and be well! As I live in Nova Scotia, Canada we have similar climates. There are ways to extend the growing season that I wish to experiment with soon, such as cold frames, manure heated cold frames, or even building a walipini if you have the space. Eliot Coleman is from Harbourside, Maine and has written on the subject in The Winter Harvest Handbook. Other ways to preserve the season that might interest you are fermentation, dehydrating or even building a root cellar. I agree with the repsonse to the first question – if someone is finding themselves eating donuts every few weeks it sounds like there is a feeling a deprivation in their typical meals, or maybe a feeling that builds up over time, and that needs to be addressed. Approaching something all the way leads a lot of people to that feeling so if 80/20 keeps a person from feeling deprived it’s worth it – and healthier mentally than bingeing on donuts! I like the perspective on frozen produced because I’ve wondered the same thing. Good info on the 80/20 rule. Often people become “addicted” to strict adherence, which can really be counterproductive. The 80/20 rule reminds us not to take ourselves so seriously. The world won’t come to an end if we mess up now and then. If falling off the Paleo/Primal wagon becomes a daily problem, try setting aside one day a week in which you allow yourself to have that donut, slice of pizza, or whatever. For many of us, it’s a more realistic goal than trying to convince yourself that you can never, ever eat those things again. When I started out losing weight (well before I found primal eating), I found that a weekly “cheat day” really helped my transition. OK at first, I obsessed about what I was going to eat on my “cheat day” but over time (months), my choices became cleaner and cleaner. I didn’t feel deprived and I usually scheduled it around dinners, parties, events etc. Hey no one’s perfect, sometimes I turned into a mega pig and went mental with the bingeing but the next day, I got back on the plan. Be kind to yourself. It’s hard to change! I love Mark’s perspective on living in the real world. Nobody’s perfect. Shary’s right: figure out a way to make it work and get on with it. If you have to cheat, do it and get over it! When you learn to listen to your own body, it will tell you what to do. Exactly. I’ve always allowed myself to eat whatever I wanted to eat, whether it’s Primal or not. Normally, I eat Primal food, but every so often I have something that’s not. Humans are omnivores and we can subsist on anything. Good topics discussed today. All of them are very relevant to me. My wife and I are hoping to get our produce garden going in full swing next year and to make enough fruits and veggies to feed the family at least 3 of the 4 seasons. I have also accepted the 80/20 principle as sometimes the urge to pig out for a day/meal can be too strong. I find myself feeling more miserable by trying to deny myself an indulgence every now and then than I would if I just had it and moved on. 80/20, IMO, is definitely the way to go. I’ve also adopted a pretty rigorous, high volume workout plan so I’m going to be needing more carbs to keep my body from just shutting down. Am feeling great and rarin’ to go! 80/20 rule is so wonderful. I fell off the stupid wagon on Saturday and got right back on again on the Sunday. I do feel horrible today, but I know it won’t last forever. I think we all need to indulge once in a while and my only advice for this indulgence is to eat something you really want. My go to food is freshly made bread with lashings of freshly made pate, or toast and peanut butter……..
Haha, I feel your pain. I made myself a breakfast fit for a king on Saturday….eggs, a large pile of bacon, and coffee. I was reveling in the majesty of it all when I realized it wasn’t quite right. It needed a couple slices of buttered toast to go with it. For those craving toast (or bread) and butter, I have a suggestion – just eat butter! I find that satisfies the craving, and cuts out the negative effects of the toast on your digestion. And I rarely eat more butter than I would have just put on the toast or bread (or popcorn) anyway. Might not work all the time, but trust me, it’s delicious! I rarely ‘crave’ carbs in the form of bread/potatoes etc, but if I do, I slice off some grassfed butter, and gobble it up. mm mmm…..
My primal wagon is one sweet ride with square wheels and corinthian leather. I also struggled with bingeing and though I don’t follow a primal lifestyle anymore for that reason, giving myself permission to eat everything again diminished a lot of cravings, and so I’m thinking that with an 80/20 rule it’ll diminish the feelings of deprivation, but I’d also suggest taking the adjustment really slowly. Going cold turkey for me was never successful. Good luck! For those of you that are able to use the 80/20 rule successfully- can someone please explain the thoughts that allow you to go from a slip up on foods that are physiologically addicting to getting back in the primal way without it turning into a month long free for all on crappy food ? I struggle with the ‘one more day of bad eating then ill stop’. I think, like Mark said, it is rooted in the all or nothing, perfection mentality, but even as the guilt lessons when i get away from healthy eating i find it hard to get back on track. At times im convinced i cant just have some bread for example, because ill feel ok and justify having more. ‘If i eat so much from it ill get sick and then that will motivate me tk get back on track’. * lessens. Sorry writing from a cell phone. Hope what i said made sense- how do you implement the. 80/20 rule successfully? Assigned days? One meal every few days? What is the cognition behind a successful transition back to primal? Certainly food can be a great escape from anxiety , depression, etc. but the paradox is that when one eats poorly it is a catalyst for anxiety and depression. Physiologically i think. Perhaps Mark is saying at least keep it there and dont let it make you feel bad about yourself otherwise. Thank you. For me, cheat meals are strictly planned out and even productive if done properly. In order to have a cheat meal, you must remain extremely strict on your diet leading up to it (or its not a cheat anymore!). The mindset of knowing that I can only have that cheat day if I’ve been extremely strict is very motivating and makes turning down crap food much easier. Also, if you plan cheat meals for post workout and take the right supplements you can do serious damage control and even benefit from the insulin spike and glycogen replenishment. Tim Ferriss discusses his protocol for cheat days in the 4 Hour Body, you should check that out…personally, I prefer cheat meals over cheat days. 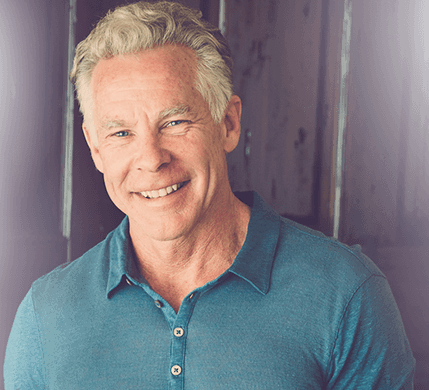 I follow the 80/20 rule–sometimes eating extremely clean and closer to 100% primal, and sometimes getting pretty junky and going more like 50/50. When I cheat, I enjoy it and feel good about it for the most part (I do occasionally feel some guilt, I will admit–but it’s nothing major). I’m healthy, have low body fat and nice muscles, good labwork, and am in great shape. I say all this to establish some measure of credibility for giving advice. What I think is absolutely crucial is listening to your body and giving it what it wants. You mentioned the “thoughts” that 80/20 eaters have that enable them to eat junk in moderation. I really don’t think it’s a question of thoughts or anything intellectual for the most part. Of course, we do research and make top-level decisions, establishing personal “policies” that will guide our choices (e.g., we decide to be primal). But for the most part I think eating in a balanced way is visceral, intuitive. You don’t “decide” on a certain meal, you follow the desires of the body. Now the less practiced someone is at this, the greater the risk of going overboard. Conversely, the more practiced a person is at this, the less tendency there is to binge because if they want a little cheat, they cheat, get it out of their system, and go about their day. And here’s what’s really great about eating intuitively: the body is not stupid and genuinely wants nourishing foods. So the more you listen to it, the more it will guide you to make the best choice and because that feels satisfying to the body, on a visceral level, it is also psychologically satisfying as well. Here’s my personal example: last week I went on vacation and I let myself eat whatever I wanted. It was at a spiritual retreat at a ranch in Napa Valley, so the meals were pretty clean, but after our seminars were over, I’d go into town and get myself a treat: ice cream, brownies, milk chocolate, coke, cheese enchiladas, etc. This was for 5 days and I didn’t feel bad physically or mentally. When I got back to work, I realized I still wanted junk food. This was more psychological than physical, but you know what? I let myself have it. I ate bread, more coke, etc. along with the more nourishing foods I typically eat. This went on for 3 days after my 5 day vacation. Then I was semi-clean that weekend, and here I am back at work on Monday. So, do I want junk anymore? Not really, even though there’s a ton of it in the office kitchen.Just a moment ago I ate the grass-fed liverwurst that I brought for a snack, and damn! does it taste amazing to me. It’s healthy and I really wanted it. So later this week I’ll cook some healthy stuff which I’ll eat over the next several days and that will be satisfying to me until I want to cheat again (which will most likely be a little milk chocolate or a small pastry, rather than an 8-day long indulgence as I did while on vacation.) Since my body really likes the healthy food, I am intrinsically motivated to eat well. If you are in good general health–not diabetic, pre-diabetic, morbidly obese, or anything that would necessitate a restrictive diet–would you consider eating “intuitively” for a month or 6 weeks to see if you can bring yourself into greater balance? To do it, you must pay close attention to the signals your body gives you–you can’t continually override them by choosing foods you don’t really want except on an intellectual level. If you want fat, eat fat. If you want sugar, eat sugar. If you want lean protein…etc. You can help the process by stocking your fridge with primal meals that you really like to eat, but just don’t strong-arm yourself into eating food you don’t really feel like eating. This kind of eating is, to my mind, an investment in your future. You might gain a few pounds initially, but the greater body awareness you will attain will start a virtuous circle, a healthy feedback loop where you eat what you like and what is nourishing. Mat, what seems to work for me and my hubby is eating a dinner out on the weekend, which I look forward to. We like a few of the buffets in town, which is great because you can fill up on the best dishes (meats, veggies) and ignore the rest — BUT you can take just a bite or two of something you want to splurge on instead of ordering an entire American-sized portion. Portion size is an important part, I think. Satisfaction comes with that first bite. I like the idea of “systematic moderation”. Meaning, you have rules for when you consume whatever-it-is and you never, ever, ever break those rules. For example, one of my rules is that whenever I travel, I don’t watch my diet. I don’t travel often enough for this to make a difference healthwise, so my “cheats” don’t happen too often. Note that when I’m eating at home, I’m 100% compliant and when I’m traveling, I’m pretty much 0% compliant. So that’s one way to do it – tie the “cheat” to a particular situation that doesn’t happen often enough to make a difference to your weight/health. You could also do it by assigned days, I guess – have one cheat every week on Saturday. Then it’s very easy for your subconscious to know whether it’s OK or not. Is it Saturday? Then you can eat donuts. Is it a different day? Then no donuts for you. The key is being really strict about that particular rule – you never, ever, ever break it. ‘…rooted in the all or nothing …’ This is exactly what it is and if you can stop thinking like this then the 80/20 rule works brilliantly. However, it takes time, for me, it’s taken 35 years to realise this. I’ve been binging since I was 11 years old and only now at 46 do I truly understand that one does not mean all. How do I do it? You have to practice this ‘muscle’ of restraint by keeping in mind all that you can eat on this way of eating. If I go off plan, as I did on Saturday, I eat my favourite primal foods the next day and I don’t count anything. This way I don’t feel deprived and I’m truly eating what I enjoy. You can do it, just keep going. I am not following the 80/20 rule, for me it is more like a 98/2 rule, but when I find myself eating something like pizza, the craving just goes away after I have eaten the food. And if I am sick or for some other reason don’t want to risk eating non-paleo stuff I just think “If I had lived 3000 years ago I would never have tasted this stuff and I would have been just as happy. This means the stuff is not important, I can live without it”. Maybe it is a faulty logic, but it works for me every time. I just forget about the food i don’t want to eat. For me the 80/20 rule is super important. I, for the most part, very strictly adhere to the diet, but every once in a while (I think every couple of months) I fall off for a meal. I think for me the importance is how you frame it in your mind. If you are continually thinking, “Well, that wasn’t so bad, let’s try it again,” then that will get you into unhealthy eating patterns again. The way I think about it is, “Wow, I must have really wanted that and didn’t realize it, okay. But, my life is primal/paleo and I feel good doing that so let’s keep going.” Today is a new day/this is a new meal is really helpful for me too. The choices of what I make to eat every day are just that- choices that I make in that moment. Every moment is different, so even if I fall off the wagon early in the day, usually I can adhere for the rest of it, because the past is in the past. It might just help you to not think about it at all. It’s in your body now, you can’t change that, but you can focus on how you want to eat the next meal, etc. Does that help? I hope so. It took me about a year to get there, so I know it won’t happen overnight but it was all in the way I thought about things for me with those specific phrases involved. Something I find useful to keep on track is to just participate in online health communities like this one. That way, I’m constantly being exposed to research on what improves health and what is detrimental. Because honestly, the wider world and various social/cultural pressures really seem to push away from healthy eating, so I think it really is necessary to have some sort of countering force in my life. I also spend some time looking up nutrient-dense foods on nutriondata (looking for foods with specific nutrients), and that helps too, because it keeps me aware of which foods are actually useful to my body. I already know that I’m not going to resist if I’m eating with other people, and I don’t consider it a big deal, because eating together is an important social activity. Another thing to consider is that your diet may actually be too restrictive for your body. I used to have nutella and bread cravings that cleared up when I started to eat potatoes everyday. Higher starch is actually healthier for me, and it seems to me that some people’s binging stems from being overly restrictive in some part of their diet. You could also consider buying fermented sourdough bread. A more WAP approach may just be better suited to your body, and bread is tolerated by many people if prepared properly. Mat, it’s sometimes easy to tell yourself, “Since I fell off the wagon, I might as well make it worth my while.” Hence that month-long binge. There’s no secret to 80/20 success. You have to employ the same willpower that got you to 90 or 100% Primal in the first place. Learning to limit one’s splurges is strictly a case of mind over matter. I’ve incorporated the 80/20 rule for about three years now. I’ve been primal/paleo for a year and before that I was eating “clean” (i.e. no junky foods, but still shying away from fat and eating whole grains). I find that what works best for me is allowing myself a “treat” approximately every other day. A sugary latte, or a donut, or a slice or two of pizza night on Friday night with the kids. Sometimes even a can of Coke (gasp). I don’t plan cheat meals too far ahead though and usually my cheat is not a whole meal. If I have a Coke, its water for the rest of the day and I try to watch my sugar intake. If I have a donut at 10am after my Bulletproof coffee, I make sure I am “behaved” the rest of the day. That’s what works for me anyways. Everyone reading this blog and following this lifestyle are light years ahead of the folks eating low fat/high carb. Hope that helps! For me it is all about planning. My worst crazy cravings come once a month during my menstrual cycle. I give myself permission to indulge, but I also try to choose the lesser of two evils. Craving toast? I choose gluten free, low carb bread. Wanting mashed potatoes? I choose either creamed cauliflower or baked mashed white sweet potatoes. Sweet potatoes make great fries also. With all the new options for folks with food allergies it is easier to substitute better options. And when you do eat something that you know you shouldn’t have, be forgiving, and start fresh the next day. The most important thing is don’t give up. It takes time to learn a new lifestyle. Be patient with yourself. For those who fall off the wagon. It is worth considering that the addiction to sugar and gluten has not yet been broken. It takes about two weeks in some people and longer in others to break the craving, or needed fix if you will, for more sugar or wheat products. Personally, I find it easier to avoid added sugar and all wheat products because I understand and realize how toxic they are for my health and body. If I accidentally take a bite of something with added sugar I immediately react to how sickly sweet it is for me. It is not to the point that I can no longer eat anything with added sugar because it is too sweet. I agree with you. I ate an ice-cream bar on Saturday and it was not as good as I remembered. I find I now do not ‘crave’ sweet food, but savoury stuff with loads of flavour. Yep, totally. I had pizza for the first time in over a year and it was like ‘meh.’ I mean it was OK, but not at all what I remembered now that I have been eating real food for so long! I also agree. Sugar is something I have a hard time consuming in moderation — I simply don’t have it in the house. I indulge in dark chocolate occasionally with little problem but otherwise my body really feels best when it stays away from sugar. It just leads to compulsive binge eating. I’ve found, though, that my mind loves the *idea* of eating sweets more than my mouth wants to devour it, so now I can be satisfied most of the time with looking and smelling beautiful desserts. It’s way too sweet to eat now. The body adapts — thank goodness! I agree wholheartedly with this comment. I have fallen off the primal bandwagon with sugar (mainly accompanied by alcohol) lately and it has been like a recovered alcoholic taking a drink again!! I cannot do that. Can’t open that box anymore. Two weeks is a little brief IMO to break this habit. More like 90 days in my case! Baking is a wonderful form of nurturing self-care and meditation for me. And, this is really important, as long as I stick to paleo treats, my blood sugar doesn’t go on a roller coaster and my cravings for carbs are mostly nonexistent. This reminds me of my situation when I was first diagnosed with Celiac Disease. At the time I was an avid baker, the designated birthday-cake-maker for a large extended family, purveyor of 40 dozen Christmas cookies every year, bread-baker, pie-maker… I could go on but you get the idea. It wasn’t so much the eating of baked goods that I was addicted to, it was the actual baking! It was a real part of my identity. So for the first year or so I was determined to learn how to reproduce all my favorite recipes without wheat, & I probably baked (& ate) even more than before! With all the goodies that can be made within the primal/paleo paradigm, giving in to non-primal junk food is less and less of a temptation. An almond-flour cake or pie crust is rich and indulgent, but doesn’t carry with it all the nasties of wheat and grains. If I’m going to splurge, my first option is always a primal indulgence, not something that is going to cause five pounds of overnight inflammation that will take a week to resolve. I may go to bed feeling overstuffed on my favorite hazelnut cake with strawberries and whipped cream, but I won’t wake up with aching fingers and a swollen tummy. Not sure what your diet / eating history looks like, but I had spent years prior to finding Paleo with restrictive dieting, constant calorie counting, and even training for a Figure competition. Urges to binge on junk food or even on Paleo/Primal foods took a long time to recede. It still sneaks up on me once in a while, especially in times of heavy stress, but the years of not making myself go hungry in the name of being thinner have allowed me to eat without fear or guilt. Time has killed most of the interest in unhealthy foods that once was nearly constant. I’m so glad someone wrote in saying they are having a tough time sticking with pure primal. I believe in it, just like the first letter, but hard to follow. 80/20 is a great suggestion. Regarding the first question, while I agree that moderation will be less stressful, I don’t think she should accept that eating donuts is inevitable. Try the Whole30! I have found it really really helps to eliminate sugar cravings. I’m not saying you should never eat donuts if you really really want to. But if you feel you MUST have a donut, something is going wrong. Good luck! Yes, I thought that too, inevitable? Really? In these instances, and I have had periods of being eating disordered, I’d also like to throw into the mix looking at the emotional/psychological issues/triggers which may be at play as well. Try and identify the roots of the self-sabotage and deal with them. For me the 80/20 rule morphs into something much looser so I always aim to be 100% but occasionally either have more than I need (over-eating Primal food) or more carby foods than I normally would. I never allow gluten in though. Over time I’ve identified the foods and (most of) the triggers which cause me to binge/eat off ‘ideal’ – ie what I know I do well with. Having strategies helps as does knowing which foods can never been allowed in because they are cataclysmic triggers to further sugar seeking! Alcohol has fallen into that category, I’m best being, and knowing, I’m teetotal than allowing a few glasses now and again. To me, it sounds like that letter writer just isn’t ready yet. I agree that accepting failure (yes, it is failure) as “inevitable” is not the right way to handle it. If she wants to succeed, she will. If she wants donuts, she’ll find an excuse. No one eats anything accidentally. I’m kind of disappointed in Mark’s answer. Why bother if you’re not going to give it 100%? Can’t agree with the “if you can’t be perfect don’t bother” theory. That mindset may work for some hard-nosed perfectionist characters, but is too prison-like for the rest of us mere mortals. We all have different personalities and what motivates one person can totally defeat someone else. I’ve never felt encouraged or inspired by that kind of rigid mindset, but if it works for you, great. In truth, it sounds more like setting yourself up for failure, but that’s just my bias no doubt. The letter writer has not made the emotional break with sugar yet (or the physical break). She is still using food for comfort/fun and hasn’t gotten past the “I need junk foods for my life to be complete” mentality that plagues modern society. She’s obviously sugar-addicted and not willing to work through a Whole 30 to get over it. On the first question, it sounds like it is truly an occasional lapse or dalliance. But it is possible by giving in to give in a bit more and suddenly you aren’t 80-20 anymore. I think it can be a fine line to balance the stress of following a regimen with benefits of following that regimen. I would only caution to watch out for incremental backsliding. On the question of freezing, you missed the opportunity to point out the possibility of pickling. You have often mentioned the benefits of fermented foods. Set aside some of the fresh produce for pickling. Everything you said is correct as far as I know, just a tad incomplete. I liked Mark’s answer to the first question, and another thing to consider is that the binging may be caused by being overly restrictive in some way that’s not right for your body. I used to binge on nutella, and that all went away when I made sure to get enough starch everyday. For my body, a higher starch intake is really important for other health reasons (gut function, sleep), but the main reason I think it ended the binging was because I just found it difficult to feel satiated on fruit, veg, meat, and fat. Even with tons of fat. A couple of potatoes everyday fixed that and I no longer crave nutella. That being said, I do still follow 80/20 at times, but the nice thing is that it never turns into a binge, because I’m well sated from my regular food. My 80:20 is a chunk of milk chocolate here and there, a small slice of yeast free sourdough once a week, the odd home made gluten free scone but I make sure that the quality of everything is as good as it can be, grassfed, organic, fresh and homegrown or made. Seeing what the 80/20 rule looks like was helpful. My husband likes to have the 20% everyday. More like 60/40 some days. Last night my 20% for the month (shared with my son) was a REALLY dark choclate brownie with ice cream and some sort of peanut butter sauce. He ate most of it and I had a bit of trouble getting my part digested. Today it’s back to 100%-ish which is where I like to be. And yes, 80/20 puts you in a better space than not eating Primal. Thanks for the tips on blanching. I discovered blanching in the book Stocking Up which I picked up when Borders Books was going out of business; according to the book, more nutrients are preserved when foods are blanched before freezing than when they’re blanched raw, so that’s how we do it. I usually do a smaller-scale project because keeping water cold enough to plunge just-blanched veggies into to stop the cooking process instantly means more ice cubes than our freezer can make at once. LOL I can do a fairly good-sized batch of kale or green beans from scratch in under an hour, counting the cleaning and breaking-down before the cooking, and we’ll have it relatively fresh in soups all Winter if the bean bushes and kale keep producing at their current pace. I’ve been a follower of your blog for quite some time now, but I don’t think I’ve ever commented. Actually, I’ve been an on-and-off follower, but that’s only because I’ve been an on-and-off vegan, not because I ever stopped liking your blog. Haha! Anyway, I’m pretty positive I’m done with veganism for good now. I recently found out that I have adrenal fatigue, an underractive thyroid, impaired digestion…the works. Eating primal is definitely the best way for me to treat my problems. (I know, such a drastic change from veganism, but I’m digging it!) I feel much better when I stick to the paleo rules, but I definitely have trouble sticking to them 100%. It’s never for junk food, it’s always for “real” food that simply isn’t considered paleo…like rice, legumes, or dairy. I love that you’re supportive of the 80/20 concept, because I find that if I allow myself moderate amounts of dairy (like raw, organic, grass-fed cheddar…DROOL), then it’s much easier for me to steer clear of grains and whatnot. In the past, doing anything 100% has never worked out in my favor. The 80/20 idea helps me stick mostly to paleo without losing my sanity. I love that prominent primal figures like yourself are so open to this. It forms such an accepting community. Thanks for this post! I know it sounds like a broken record, but “do what works for you”. Some good cheese and some white rice is ok. Some legumes if prepared properly by long soaking etc is ok. If doesn’t knowingly cause issues and you like it, then why not? There’s nothing wrong with quality dairy, rice, and/or legumes if you tolerate them well. Don’t take any of the paleo/primal recommendations as gospel, see what works for you. I eat some potatoes, rice, beans, and dairy and am feeling great. Jenni, I’ve been 80/20 Paleo for a couple of years now. I rarely eat wheat products, sweets, or beans, but I do eat rice occasionally and I never really gave up white potatoes. I grew up on meat and potatoes and have never been able to see anything wrong with the lowly spud, although I do eat them in moderation and I avoid French fries. Other than butter, most dairy doesn’t work for me. As others here have pointed out, it’s not a good idea to get target-fixated on being 100 percent Paleo/Primal. No eating plan should be obsessive or stressful. It’s just human nature to want what you “can’t” have; therefore, a better strategy is to tell yourself, “I can eat that non-Paleo treat if I really want it.” I find that, more often than not, just the knowledge that I CAN have something is enough to satisfy the desire. Nice tip on the blanching of the veggies! I’m a huge believer in the 80/20 rule. When I first began my primal journey, I had ice cream once or twice a week and pizza or a hamburger on a bun on occasion. Why? Because my body still craved those foods, and I ENJOYED them. Otherwise, I ate primally, lost 60 lbs, and was happy. Then, my husband (not primal) was diagnosed as Celiac, and the occasional pizza became a gluten free pizza. I read the _Perfect Health Diet_ and upped my starch consumption, and that reduced my cravings for junk significantly as well–fewer sugary treats. 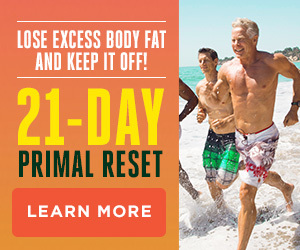 Finally, as part of the 28 day primal challenge this past year, I gave up dairy. When I went to have ice cream again afterward, it upset my stomach terribly, so now I enjoy a coconut milk-based ice cream I find at Whole Foods. All of that is a long way of saying that I eater better foods now than when I began, though some of the foods I eat (rice, white potatoes) aren’t strictly primal. I think it’s easy to forget that this isn’t a diet or a set of strict rules to follow. Instead, it’s a guideline for food choices to help us along the journey we call life. Some choices are more nutritious and less harmful than others. Find what works for you and your body. Some choices are just plain more delicious in some circumstances, and it’s important not to deny ourselves pleasure from time to time. Doing so is not sustainable, and what’s the point in eating healthfully if it isn’t sustainable? As Mark said, ruining the pleasure of eating something delicious from time to time with guilt is more harmful than the food itself. Enjoy the donuts, I say, and I’m also guessing that as time goes on your treats themselves will graduate to healthier versions. That’s been my experience, anyway. Nessa, I’m not picking on you. Your statement has prompted me to ask about something that has been rattling around in my brain for a while: Are we setting ourselves up for food intolerances by eating primal? I’m not talking about eating SAD food– I wonder about making my body intolerant to, say, homemade ice cream (I have an ice cream attachment for my kitchenaid mixer. It’s awesome) after I have cut them out for a while. I love eating primally, and will not go back to the SAD, but I also don’t want to make it so a bowl of ice cream throws me into a tailspin. I am legitimately asking. I have no idea if our bodies work this way or not. I am not talking about celiacs or people with diagnosed food allergies, obviously. I could see that we would get used to eating certain foods over time, but if we don’t eat a particular food or food type for a while, could we lose our ability to tolerate it? I am definitely not the person to ask about the science behind it, but I found my reaction to dairy pretty disheartening and asked the same questions, so I understand the concern you raise. The information seems to be mixed on food allergies as a whole and whether avoidance is the best solution. I will say that the reason I chose to give up dairy was because I had noticed negative reactions to it–bloating, gas, acne–even when I was consuming it more often. The reaction seemed more extreme after it had been out of my system for a while. My guess is that tolerance is really more a matter of perception. After finally learning that his gastrointestinal issues were Celiac, my husband, a few months later, turned to me and said, “I didn’t realize how bad I felt until I felt better.” When you live with a certain feeling every day, you become numb to it. After feeling better, going back to what was once normal can seem far more extreme. Thanks for the comment. Yeah, you are probably right about using dairy as an example–probably not the best. I have been trying to heal my gut from a UC flare, that began in February of this year, with diet and only the most “gentle” med–Asacol. I am not a very good test subject on the issue I am wondering about because my colon is not healed yet and my symptoms are all over the board with elimination diets, low residue, etc., lol. I would experiment on myself more if I had a “normal” colon. 🙂 I envy people who can eat the wide variety of foods under the primal guidelines. I cannot tolerate “lots of leafy greens” as they are recommended. I have just seen a lot of anecdotes on these forums about people tanking badly after eating one non-primal food item or something. I have googled this “developing of food intolerance” question without much success. Oh well, it might just remain a mystery…. If you totally stop eating a category of foods for awhile, your gut biome will change. The bugs that process that type of food will die out. Then when you eat it again, it can cause gas or other problems. If you eat the food regularly again and get probiotics via ferments or supps, the gut bugs adjust (assuming there’s no actual allergy involved.) Just one possibility! Adults usually do lose their ability to digest lactose unless they are eating lactose foods (dairy), although the digestive enzyme or microbeasties producing lactase (DigestiveAdvantage) can be provided from the outside. The idea is that lactase is needed for digesting human milk in the first few years but not ordinarily after that. But your ice cream maker will work fine on coconut milk or nut milks (like almond milk)! So if nuts are a better option for you than dairy, no worries. I very much agree with your 80/20 idea and with everyone who has commented on it. Life is full of constant choices and it should be enjoyed, not guilted over. I’ve been paleo/primal for almost two years now and I feel so much better eating this way. I had to get the sugar-monkey off my back and now I really don’t miss it. Doing a Whole-30 really worked for me. From the beginning I thought that this might be more like a “diet” to those folks who aren’t trying to ease a health issue — you know, something you can take or leave. When you realize your arthritic knees hurt after eating spaghetti, though, you don’t want it anymore. When your face burns hot and red with rosacea after eating rice with dinner, you just don’t want it anymore. When you feel bloated and miserable after eating pizza, you start making it yourself with a cheese crust instead of bread. In other words, if you actually feel better — literally — it’s easier to stay on that wagon. At least it is for me. But a few bites (not dishes) of some treat every now and then can be quite satisfying. Regarding carbs for strength training and HIIT, I’d recommend just taking carbs post workout via simple recovery drinks like Vitargo, Waxy Maize, Superstarch etc. or if you have the time sweet potatoes or WHITE rice are great. As far as I know the three recovery drinks are supposedly considered gluten free. I also have a 24 hour carb refeed once a week, usually Saturday night through Sunday. Monday: Strength Train/HIIT in fasted state around 4 p.m. take 50 grams of whey protein and 70 grams of Vitargo post workout. Then an hour later have a primal dinner feast. Tuesday: Strength Train/HIIT in fasted state around 4 p.m. take 50 grams of whey protein and 70 grams of Vitargo post workout. Then an hour later have a primal dinner feast. Wednesday: Rest, fast till dinner and eat a primal dinner feast, under 50 grams of carbs. Thursday: Strength Train/HIIT in fasted state around 4 p.m. take 50 grams of whey protein and 70 grams of Vitargo post workout. Then an hour later have a primal dinner feast. Friday: Strength Train/HIIT in fasted state around 4 p.m. take 50 grams of whey protein only, NO CARBS this day post workout. Then an hour later have a primal dinner feast. The reason for no carbs this day is because I don’t lift until Monday again and I will be having a 24 refeed starting either Saturday night or Sunday morning. Saturday: Eat primally all day. For social reasons I sometimes start to indulge in my 24 hour cheat day refeed around dinner time. Sunday: Refeed day, eat what I want. This way of eating has been extremely effective for improving and maintaining strength, athletic performance and body composition. It basically is a mash up of TKD/Carb Backloading/Anabolic Diet/Warrior Diet/Primal Blueprint, but using 80/20 rule (24 hour refeed). Please note though, this is only something that someone who trains intensely should adopt. Blood work has stayed very good while using this protocol. When I first started Paleo/Primal, I tried to be very strict, but I also found myself face-down in chocolate chip cookies. I thought that the best way to fight it was to be even more strict, but I literally started dreaming that I was falling through a pink sky filled with cupcakes, and as I fell through the pastries they were forcing their way into my mouth and try as I might to spit them out, they kept forcing their way in and I couldn’t get away. I would wake up relieved that I hadn’t actually eaten cookies. The dream was recurring, so I should have figured out that something was not balanced in my life, but I took the attitude that I simply hadn’t kicked my sugar addiction. As it turns out, no. I can eat fruit and I can eat starch, which I need to because of how active I am, but even just mentally “knowing” that I can eat a cookie if I really want it has been great for my sanity. When prepping all those veggies be sure to keep all the stems & such, add some herbs, then boil for awhile for some fresh veggie stock to make all your winter stews & soups. It freezes very well, just let cool in the fridge overnight. I love this as I feel like I am getting the most out of every bit of the veggie & I control the salt content and avoid the additives that store brands load theirs with. My understanding is that the boiled leftovers are good for the composter, too. A reminder of the 80/20 rule is always welcomed for the exact reasons you described. Perfection in anything is hardly attainable for anyone except the most strict. Most do well accepting that they will not do this perfectly and probably are most likely to succeed with it. I really love the info on blanching fresh vegetables, the reminder that fat adaptation helps us by down-regulating the body’s need for “too many” carbs, and that sprinting and intervals can each up-regulates both fat and carb burning! If someone finds it difficult to stay off of sugary foods it’s important to look into whether you may have an overgrowth of Candida and/or Leaky Gut. Candida overgrowth will make you ravenously crave sugars/carbs. I eat Ketogenic which is stricter than Paleo regarding carbs and sugars. And if I stray at all and eat natural sugars or any amount of carbs I just crave more. Some of us are very carb resistant. If I don’t eat carbs, meaning low carb vegetables only AND keep that at under 25 grams per day I do not crave any carbs. Of course to do that you need to eat enough healthy proteins and fats. Once I have some carbs I just want more. So for some a Ketogenic way of eating may be better. And much easier follow. I find that if I schedule a cheat day every two weeks I do fine. Sometimes I don’t even feel like cheating on my cheat day, but I make myself have something I have been craving all along. I don’t feel guilty but I get right back to the BP like the cheat never happened. I have found it easier to stick with the plan because I’m in this for my health, the 38 pounds of weight loss, off the heartburn and blood pressure meds, is just a glorious side effect. Sugar including things like honey and maple syrup are addictive, and it takes atleast 3 to 4 weeks to overcome this addiction, and probably another 4 weeks to break the “sweet” habit. Many people also suffer a type of withdrawal “flu” when the give up sugar. I am a huge fan of the Primal and Paleo lifesyle, but the inclusion of honey and maple syrup makes it harder for an addiction to be broken. I have been Primal for 1 3/4 years, but also sugar free including getting rid of honey, maple syrup, dextrose, rice malt syrup, xylitol and all other sweeteners. Sweet for me means fruit or coconut. I was also a sugar addict until recently, although living primally for 1,5 years and adopting 80/20. My 20% was always something sweet. I felt bad about it but couldn’t change it by using willpower, didn’t seem to have enough of it. Then I had an accident and lost a kidney. In order to relieve the other one I stopped having my small glass of wine in the evening and my morning coffee. The effect was, I stopped craving sweets. I think it was mostly the alcohol that triggered the sugar addiction, even though it was just a small glass of dry wine. I think there are trigger foods that activate sugar addiction and they don’t necessarily have to be sweet. For me it was alcohol and probably coffein, for others it might be something different. Regarding the 80/20 advise. I find myself really, really wanting to agree, because I seem to have got stuck a similar cycle. Mine seems to be about 4-days. Where I find myself disagreeing is about addiction cycles. I’m reading research that suggests sugar is as addictive as cocaine. And other research that suggests that wheat & other grains may contain natural opiates. All of which leaves me wondering about addiction cycles, cravings, etc and the risk of enabling my own addictions by consciously adopting the 80/20 rule. Perhaps it is about mindset, I’m not beating myself up or blaming myself for the pattern that is playing out. & I refuse to accept that I’m helpless and unable to do better by and for myself. Hence, I’m curious about what I can do and be doing to get myself eating healthily on the days I usually cave into my cravings. I’m needing a different 80/20 guideline. After all, the 80/20 thing is the Pareto Principle that 20% of what you do gets you 80% of your results. If I’m surrendering to my cravings 20% of the time, how do I change that to a creative and constructive way out of what is apparently and addiction cycle? Well, the latest is that sunlight is dangerously addictive because the endorphins it creates work on the same pathways as heroin and other opiates, according to the news blurb on at NBC. If you go down that path, you might as well eliminate everything pleasurable from your life. Forget working out — can’t be having those endorphins! Oh, and stay away from dark chocolate, since that releases endorphins. Don’t laugh, don’t socialize, and definitely don’t listen to music. So, I respectfully disagree with the supposed addiction cycles. Usually it’s not sugar that’s the straight up problem. It’s usually some kind of sugar and fat combo. 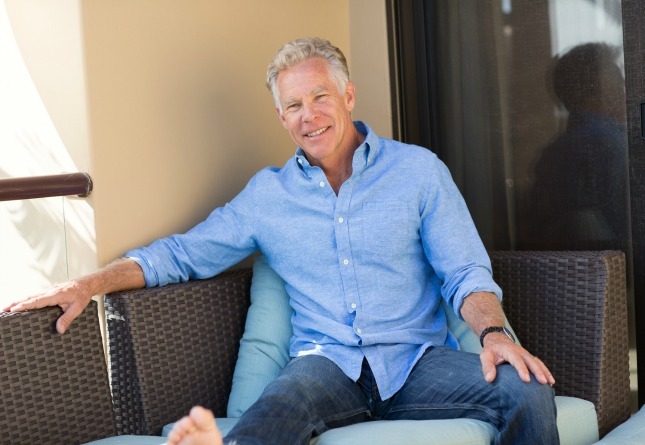 Mark allowed a guest post a while back by Dr. Ron, and he described his experience working with Asian Indians, many who had a vegetarian diet. 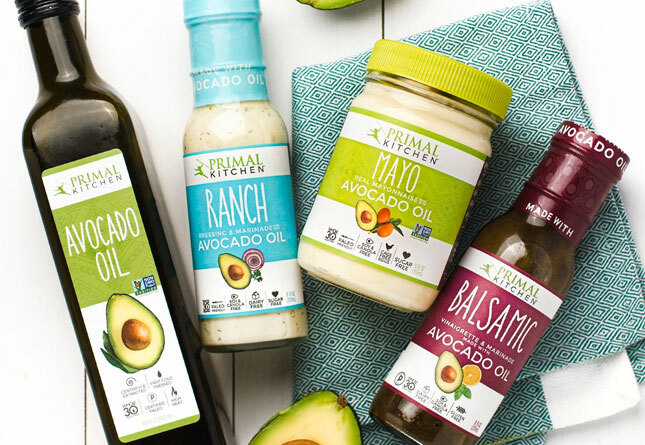 When they switched to Primal, their health got remarkably better, but the vegetarian diet was such a part of their culture and their identity that when they started including some vegetarian dishes but using ghee or coconut oil and “properly prepared,” their health markers got even better. He attributed to being flexible instead of forcing an extreme diet on them; they felt connected to their culture instead of feeling isolated. That 80/20 thing is so personal. If by partaking in a 20% treat, you feel more socially included or less tied down by your diet, or you feel connected to your family, or you feel like you’ve treated yourself, then who is to say that you’ve made yourself worse for it? I think my mom is a good case in point. She’s pre-diabetic and really wanted to focus on diet to get her numbers down. She and my dad both actually embraced the Primal food idea, but my mom has a few favorite foods. She tracks her blood sugar every day and noticed that when we were on vacation or she was visiting us, her blood sugar numbers would be better even though she treated herself to French toast for breakfast. She also noticed that when work got hectic, her numbers got worse, even if she low-carbed it. Stress is the trigger that really does her in. 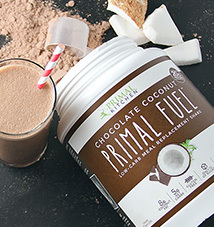 Would she have been better off if she had discovered Primal earlier and didn’t give in to her sweet tooth? Probably. But the occasional French toast is good for her sanity, and that is in turn good for her health. Personally, while I’m probably a bit of a sugar addict, I refuse to call myself that. I just try to eat what I like, and 90% of the time, it’s Primal. But sometimes it’s ice cream, and that just is what it is, and I like fruit more than what the carb curve here would normally allow. But that’s me, and it keeps me happy and sane. I think that’s really the litmus test. I can’t say just how helpful it was to read this article. I am like so many, and beat myself up for eating cheat foods, and I never knew that frozen produce was better than the stuff brought in on a truck… there’s so much here that is very helpful, and I think it’s great reaching out to answer questions from so many people, because some of us are wondering those same things, and just don’t ask. So nice to read a good reminder of the 80/20 rule.I’ve been primal for over 4 years but have never fully given up sugar. I rarely cheat with wheat, since I am allergic, I will only eat it maybe once a year, if that. Otherwise my 20% includes things like ice cream or gluten free pizza, bagels, or cookies. I always try to make my cheating really worth it though. Most things are easy to resist, store bought cake at a birthday party, regular bread, pasta, etc. But if someone brings out an amazing homemade pie or cake, or we are at a restaurant famous for crab cakes or fried something, it’s nice to be able to indulge and not feel like I’m completely derailing my health. Also, there is the additional issue of hormone-related food cravings (noted: I am assuming that Nicole is a female name), especially since the LW seems to be able to go about a week or two without a “slip.” I know I like to keep some 85% dark chocolate, Hail Merry tarts, and maybe some homemade grain-free cookies on hand when I’m about to ovulate or menstruate. I’ve wondered if women having cravings for sweets during ovulation/menstruation is just a modern mindset or truly a biological issue. After all, readily available sugar has only been around for a relative blip of human history. The very reason you, your website & the Primal Blueprint resonates with me is that you keep it real! 100% strict adherence to a Paleo-type diet (or any “diet”) is not possible, IMO. Sure, some can strive for it without cheating (I suppose), but why? Your 80/20 rule is realistic and more in keeping with the modern world we live in. And if we adopt the rule with gusto, we’re more likely to adhere to 80% primal eating (and way of life). The other 20% of the time, we just adjust, give in, do the best we can and move on. Perfect balance is not 100% anything; never will be. I can’t seem to find a balance either. If I get near a sweet thing after months of not eating them, I usually end up elbow deep in whatever “primal” dessert I made. Raw fruit cobbler in my fridge after the guests have left? It will be gone in bites and bites over the course of the day. I often skip the desserts entirely, or send them home with the guests, but seriously, why can’t I be left alone with them? My glucose is more sensitive than ever, and I try to keep in a moderate carb range because I am still nursing a toddler. The carbs I generally eat do not send my glucose through the roof. I handle winter squashes fairly well and lower glycemic fruits. It is obvious that my body knows what it needs most of the time. Overly sweet things do something very wrong to my brain though. I just can’t leave it be if it’s around. It’s like putting a steak in the middle of the room and telling the dog not to eat it. However, it’s not that healthy and it mucks up my glucose. And popcorn? I am seriously addicted to it since giving up all other grains/flours. My relationship with food just seems to get more messed up over time. Being vegetarian and standing on my high moral horse was much easier than actually trying to figure out what my body needs to thrive. 80/20 is great–though I suspect my 20 mostly lands me in the popcorn bowl or the fridge. I don’t feel particularly guilty about these things, but maybe I need to figure out what keeps me coming back to those things. Is there some nutrient in popcorn that I am not getting elsewhere? Maybe I should eat liver every time I think of popcorn :-). That could do it! Great comments about 80/20 or even 90/10– I do indulge on rare occasions but my regret after eating sweets/carbs/breads etc– is not guilt, but indigestion! Knowing I may spend hours with heartburn keeps me pretty much on the primal bandwagon. And it’s not easy– my wife is a carbomaniac– bread. cereal, pasta, cookies, etc. yet a svelte 123lbs at 5’7″. We rarely eat meals together because of the disparity of food choices. Excuse me while I make myself a “cannibal sandwich” without the bread! I never found this to be true. I love pizza. I love fried chicken and waffles. I love a lot of very terrible things. And you know what? I still eat them once a week or once every other week because I enjoy them and because it simplifies consumption on business trips. The key is simply not getting complacent and this EASIER to handle if you simply set aside some time for junk if you like it. There are some things I get really ill when I eat now. If I overload on donuts I get light-headed. Certain foods I used to love really hit hard and those are easy to avoid now. Grimaldi’s pepperoni pizza though? I feel fine. It’s good. I’ll eat a whole large pizza every now and then. Between weight lifting, regular movement and sprints once or twice a week, who cares? Could not agree more about the 80/20 rule as it pertains to diet (and most things really). Keep in mind that getting what you “need” should be a priority and should be the focus 80% of the time. However, there is an “enjoyment” or “want” aspect of food that is undeniable. As long as the “wants” dictate your choices only 20% of the time a person can obtain their goals in health. If I don’t garden and don’t have extra freezer space, is it better in the winter months to buy fresh produce from miles away, or to buy frozen veggies, which hopefully have been picked ripe and frozen quickly? Mark – thank you. You don’t know what a relief it is to hear that I don’t have to be perfect to be healthy. I feel like a huge weight has been lifted from my shoulders. And helpful to read the validation from fellow commenters that this approach could really work for me. Yes, I’m nervous that I could let 80/20 become 60/40… which could then become 50/50 and then 0/100 (that number looks a lot like donuts…). So I’m still going to approach every day as if it could be a 100% primal day. I’ll shoot for the moon, and be just fine landing among the stars. This may sound odd, but it was great to see Nicole’s question about falling off the primal wagon every couple of weeks. The “great” part is not that she’s struggling, of course, but the realization that I’m not alone in that type of struggle. Much of what I read about people adopting a primal or Paleo lifestyle seems to involve a one-time switch, immediate health benefits, and living primally ever after. My reality is much closer to what Nicole describes, although I’ll typically make it for a month or two, then stray from the primal path for a week or two (or, currently, three), beating myself up along the way until I either admit temporary defeat or climb back on the horse (how many metaphors can I pile into one comment?). And the even nicer part is Mark’s response, so unlike that of many of the prominent voices in the primal/Paleo community which preach a zero tolerance approach. It’s what’s kept me coming back to this site for several years, no matter where I happen to be in my on-again/off-again primal efforts.